New York, London, 1st March 2016 - The latest announcements by the Options Pricing Reporting Authority (OPRA), of changes to its Expanded Message Header, are expected to result in hugely increased data volumes. SR Labs, a global leader in enterprise-grade market data and trading technologies, is pleased to confirm that the changes will have a minimal impact on the data volumes that their clients are processing via the Filtered Options Feed (FOF) solution. SR Labs FOF is a fully managed market data feed that provides filtered U.S. options market data with greatly reduced bandwidth and infrastructure requirements. FOF provides clients with the flexibility to consume only the data they need, with no code changes required to existing feed handlers. FOF’s most unique feature is the delivery of data in the identical multicast binary protocol as OPRA’s raw multicast feed. With OPRA now supporting a new Transaction ID field, to allow participants to cross-reference inbound transactions with outbound transactions, it is projected that peak data volume will require bandwidth of 20 Gbps by July 2016. This will require customers consuming the OPRA direct feed to rethink capacity around network bandwidth, feed handler capacity, and infrastructure expansion. The FOF delivers a greater than 75% bandwidth reduction on the OPRA feed, ensuring that its consumption remains easy, affordable and predictable as OPRA continues to grow at an exponential rate. 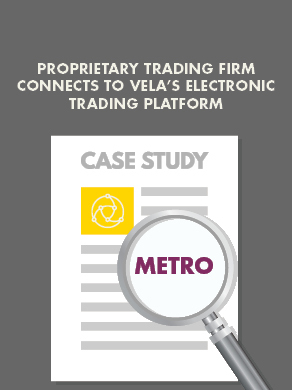 Clients receive both Trades and NBBO data in real-time, or conflated, as their systems require.